From 1971-1974 John Piper attended the Ludwig-Maximilians-Universitat in Munchen for doctoral work. In choosing a dissertation topic he decided to explore Jesus's command in the Synoptic Gospels to love one's enemies, and its relationship to similar ethical exhortations in the epistles (the Early Christian Paraenesis). Using a "history of traditions" approach, Piper begins by examining each New Testament reference to Jesus's command in an attempt to place its origin within the broader paraenetic tradition. 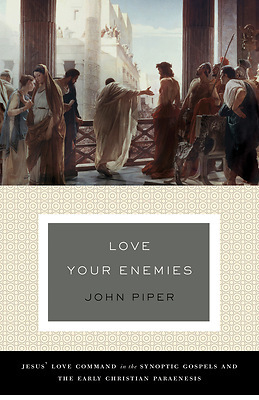 Piper moves on to survey similar exhortations for enemy love in the environment of the early church, then analyzes this particular command of Jesus within the broader context of his whole message. He investigates the theological significance of Jesus's love command in the paraenesis and finally concludes by focusing on the Gospel tradition's use of the command, particularly in Matthew and Luke. First published by Cambridge University Press in the Society for New Testament Studies Monograph Series, this repackaged edition features a new, extensive introduction. A serious work of Christian scholarship by a long-time respected author and pastor, this will be of interest to scholars, students, and lay people who have training in New Testament studies.